Am I just learning all the time? I moved to Germany just a few months ago. I can say that those who have not lived for a long time abroad before it would be difficult. I do not really miss the place where I was born. It’s a different matter. In the first month, it is a lot of unknown, you feel like a child again who need help. It’s good that I have help and support, so now everything is fine. However, who wants to move alone, you need to think about it many times. Those brave people who decided to move to Germany and in my case to Munich, I want to congratulate! Munich is a great place. You will especially like it if you are over 23 years old. If you are only interested in parties, then Berlin is probably better. 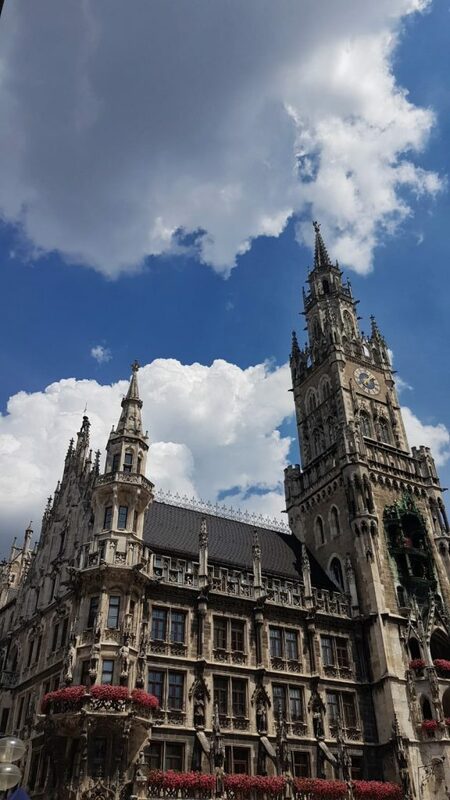 Munich is a great place to live. I changed the city where I lived several times. 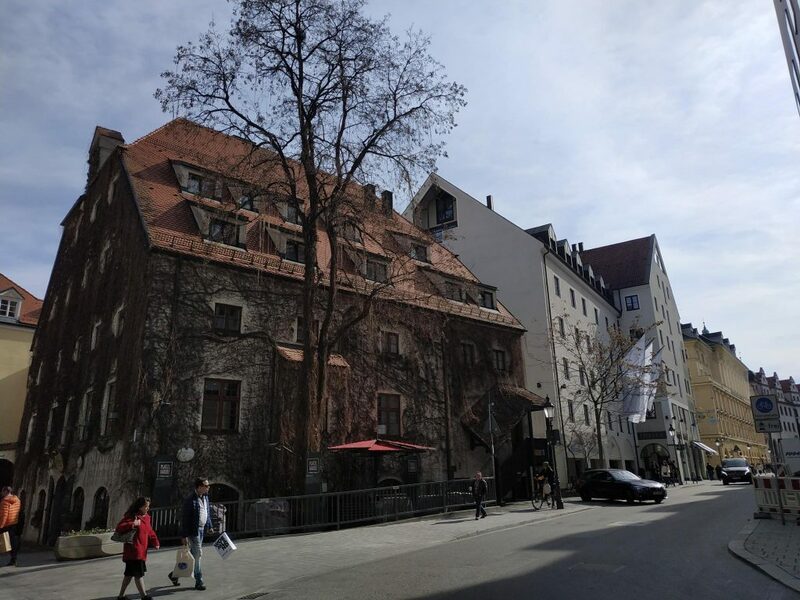 Munich is exactly the city where you want to stay and do not move anywhere else. It is not a very big city, but super cozy. It is nice to be here because are many beautiful buildings, a lot of delicious food and a good climate. Unfortunately, I don’t have yet friends who were born in Bavaria, but from the side, everyone looks friendly. On the street, every local resident will surely tell you “Servus”. At the next blog, I will tell what you need to visit in my new hometown. This entry was posted in Allgemein on Wednesday, 24.April.2019 by Anna Leonova. In order for me to express my feelings accurately, I need one expression. I think that this one old phrase is known not only in Russia, but just in case I will tell you what it means. The phrase is made of two parts: the first one you name someone and the second part you add to this “of 80 level”. This means that someone is doing something at the highest level of skill. I have already spoken about our teacher’s professionalism and that we use a lot of pictures and diagrams. But once was the highest level of demonstrations. Our teacher showed the skill of demonstration of 80 level. The ability of the teacher to quickly navigate in learning situations is an indicator of professionalism. For example, even today, just to clarify one word, we heard a beautiful short story from the life of a little drunk sheep in the mountains. Laughing heartily and using natural phenomena to translate words is wonderful. This entry was posted in Allgemein on Friday, 12.April.2019 by Anna Leonova. The more fun the better! 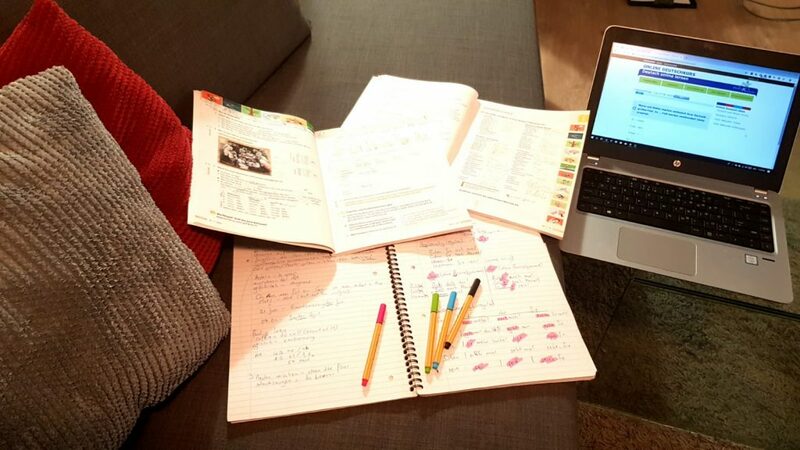 The learning process can be annoying, even if there is a great motivation to learn. A student may tire of a long lesson even if he is no longer a child. Some people think when a student is older than the more serious lesson should be. It is not true. We all want fun, we all want to enjoy what we do. We can also enjoy grammar if we got the right approach. Jokes, interesting stories, pictures and music, all this helps to go thru the material faster and more successfully. In Deutsch Akademie is always fun. We laugh with the teacher heartily, but what is important and also fun, often is on the topic of classes! And this is a double benefit. Also, for example, we always have a small conversation at the break. Such a spontaneous conversation is better than 10 exercises from the book. Although one detail about talking. Do not believe the teacher when he says that he (or she) will not correct you so that you would not be afraid to speak later. This means that the teacher himself is not 100% sure of his knowledge. Although this does not happen with teachers who is a native speaker. Therefore, it is indisputably better to learn a language with a native speaker than with just a good teacher, also for this reason. Returning to the main topic of this blog once again I will say the main thing. 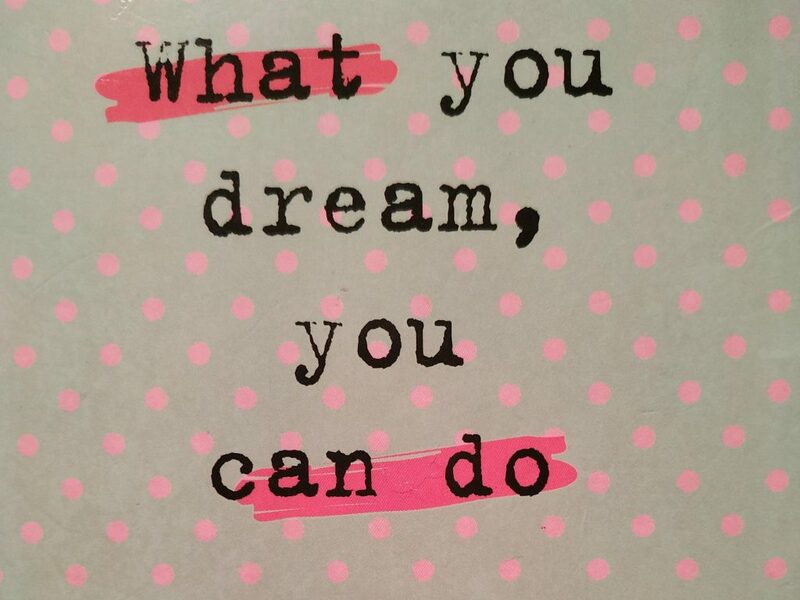 With a positive approach, a challenging educational process can be an interesting adventure! Do you have fun in class? Pupils often say: I had a bad teacher, so that’s why I know nothing. The teachers say: the student does nothing, how will I teach him? Who should work more? Who has more responsibility? The answer is well known: for success, everyone must work to the maximum. A student will know nothing if his teacher has poor knowledge of the material or if the teacher doesn’t know how to find an individual approach to each student. The student will know nothing if he/she has no goal or he/she is bored. A good student should always remember – 80% of success depends on student work and only 20% of the work on the teacher. When both sides are super motivated, then everything works out. 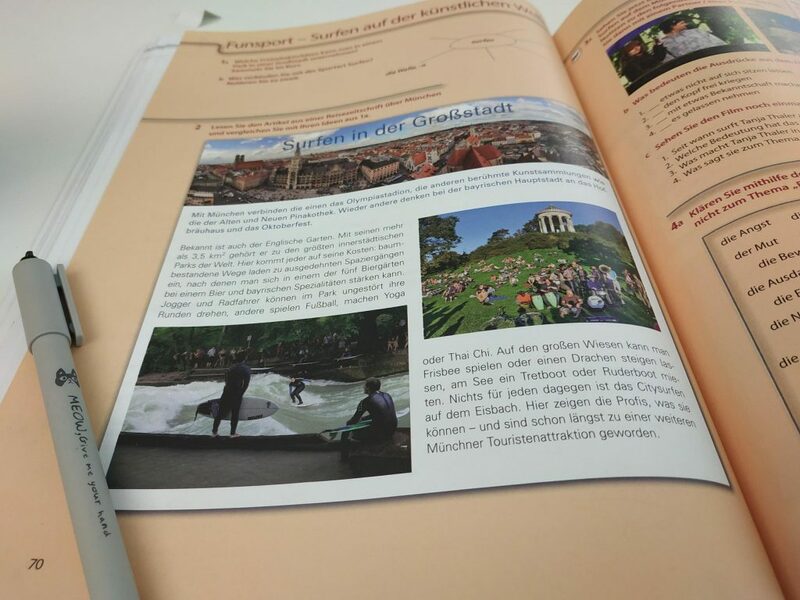 In Deutsch Akademie I got exactly the super motivated teacher who fills the gaps in the knowledge of each student. As well she fulfills an educational program. 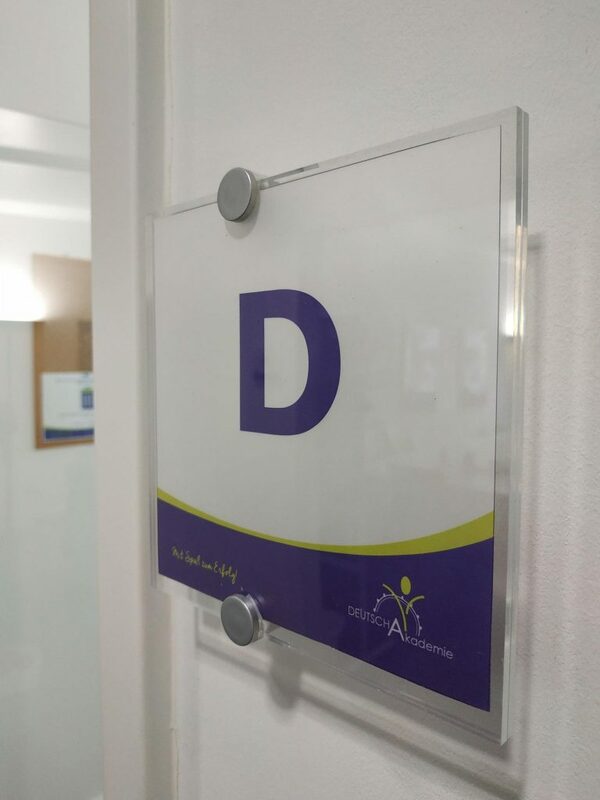 In the class we use all the necessary elements for learning the language: listening, reading, writing, speaking and practicing in grammar. The lesson is very harmonious because grammar is given central place. The logical running of the lesson and various methods for fixation the new material make it easy to learn. It especially helps me that we begin a new lesson by small repeating the grammar of the previous lesson. Also, the diagrams and tables developed by the teacher are better than in any textbook that I saw. This entry was posted in Allgemein on Thursday, 11.April.2019 by Anna Leonova. I’ve just started my A2.1 course and once again, I found myself overwhelmed. I sense a pattern here –feeling exactly like I used to during my first classes in A1: flooded with information from left, right and centre, anxious that I might not be able to keep up, but really keen to get good. Fast. I’m what you could call a lazy perfectionist when it comes to learning new languages. Until I get them right, I don’t bother practicing them outside of my own mind (i.e by speaking to people, writing), probably because of the fear of embarrassing myself. I’ve done exactly the same with French or Spanish many years ago. So with this in mind I started my German-learning journey a couple of months ago by speaking a cheeky amount of English in class (against DeutschAkademie’s rules…), hiding under the pretext that I simply understand new concepts better in this language. While this might be true, I am aware that it is also detrimental to my evolution, and that sitting in my English comfort zone will not push my limits enough. But the thing is, in this new course my lazy perfectionism does not work anymore! People actually speak in German exclusively, be it by asking questions directly in German, or explaining new words to using synonyms. During my first class there were tons of question marks around my head: how do people know so much already? Am I in the wrong level? How do I ask this thing in German? How do I explain this thing to my colleague, without using ANY words in English? Then it hit me… THAT’s what the learning strategy of this school is really about: throw you into the deep end and almost force you to find your way up. It’s painful, it’s hard and it’s uncomfortable. But I can totally see the logic behind it and it’s growing on me. After all, without this system my inner nerd would not have seen the light of day again! 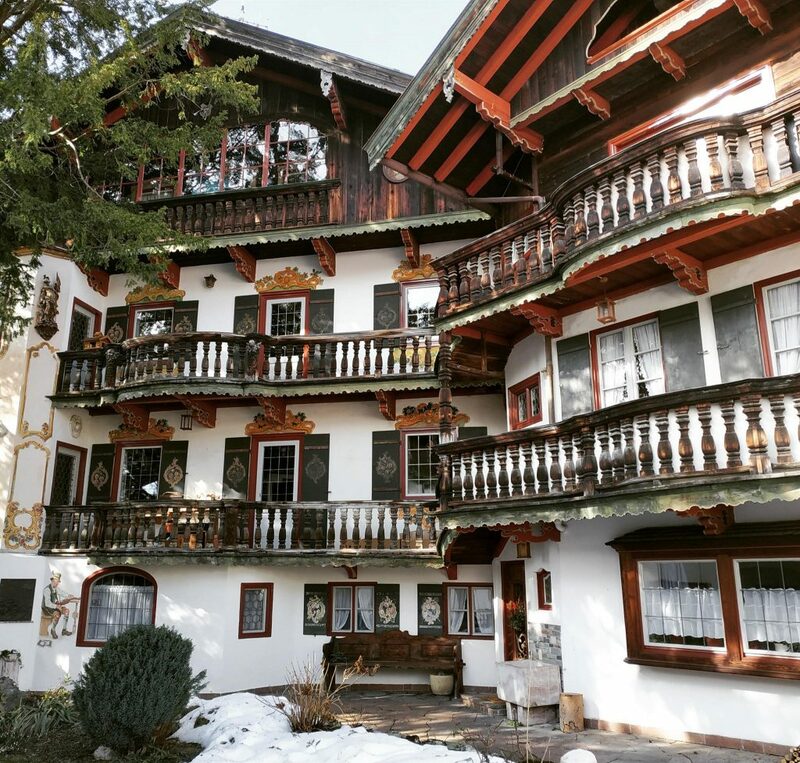 This entry was posted in Allgemein on Wednesday, 10.April.2019 by Sintia. Inner Nerd Unleashed in Munich! Hi everyone, Sintia here. I’ll be taking over this month’s blog. 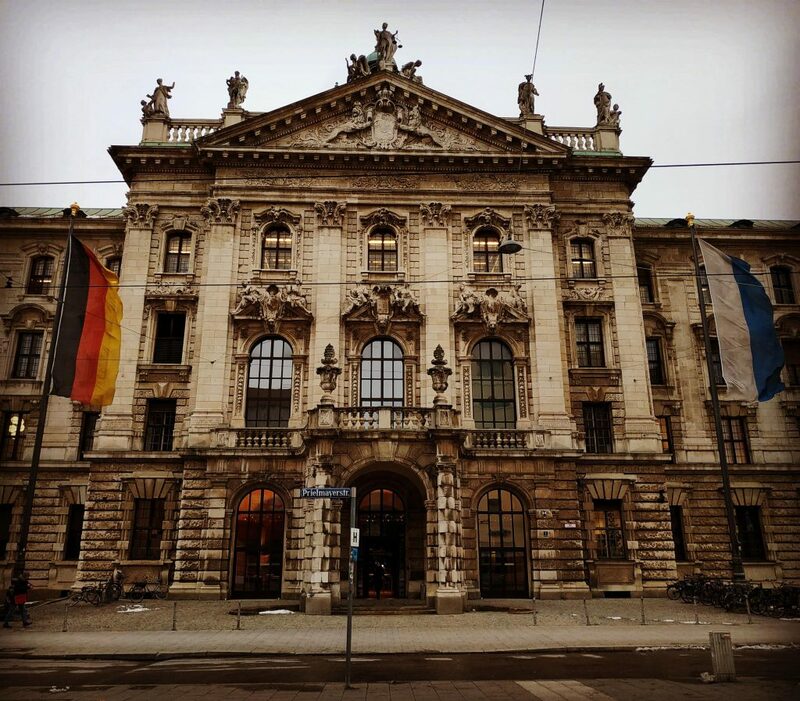 Before I start telling you about my Munich adventure, let me introduce myself. I am Romanian, but have lived most of my adult life in the UK where I spent my Uni years and began my career in PR & Communications. And as with all “aww!” worthy stories, love has brought me to Munich . In hindsight, it was a huge step considering I did not speak the language and I did not know anything about Munich’s job scene. Buy hey, you gotta do what you gotta do when the heart asks for it! 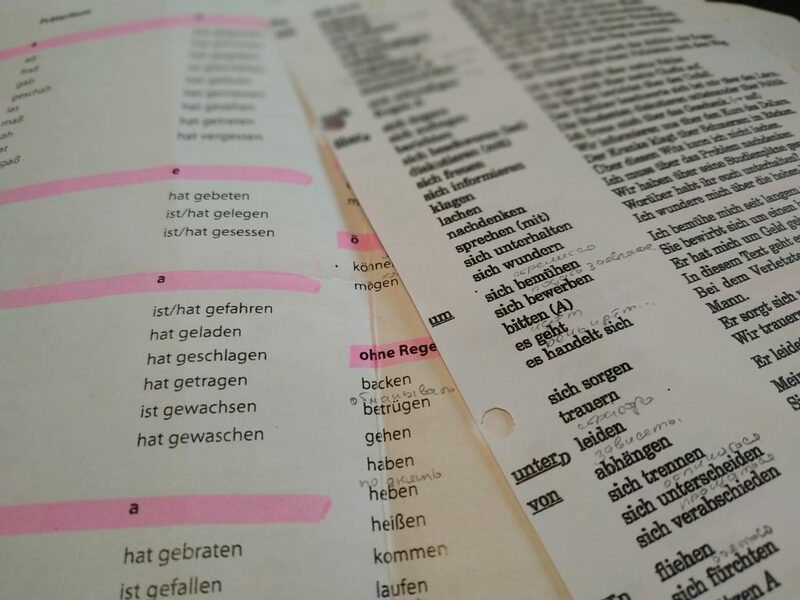 Eager to fit in as fast as possible, I wanted to start German classes as soon as possible. DeutschAkademie seemed by far the best option. 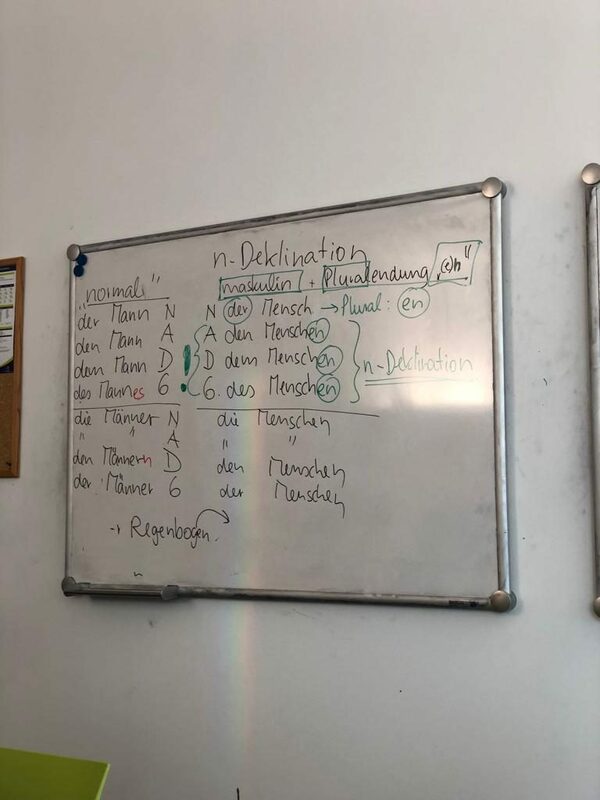 Now, as you know, DeutschAkademie’s rule is to speak ONLY German during classes. I was quite taken aback and took me a couple of classes to put my brain wheels in motion and really grasp as much information as possible. But then… it happened. My inner nerd has been unleashed. I was a proper grammar nerd growing up. I lived and breathed it all my teenage years, and working in communications as a young adult, proper grammar has also been of utmost importance. I really think it hadn’t actually hit me before that I am REALLY going to learn a language from scratch. And boy, there has been just SO much grammar rules and vocabulary to learn! During my classes, I’ve turned back into the old nerdie me who hoped for more homework and who was glad and eager to take tests. But please don’t get me wrong – I am faaaar from being a pro. I’m just starting my A2.1 class. But man, am I excited and keen to learn this language! There are people who know 5 or even 10 foreign languages. I know a lot of people who learn a new language easily. Of course, these people are diligent in learning a new language too, but everything happens quickly. A year or two and their language is perfect. This story is not about me. I have experience in learning English and now German. These are completely two different ways. I had studied the English language for many years at school, but I didn’t speak it until I got into the company of English-speaking people. These people became my friends and within three months I broke the language barrier completely and then my English language got better and better. However, I did not have a good grammar base, it still leaves “traces”. I think someone has noticed XD. I got a different story with German. I consciously began to create a base for myself in the grammar and only then I start to speak German. It seems to me that this is a better way since it is more difficult to retrain than to learn new information. But there is one thing, we all need a good systemic training with specialists. I am not the person who quickly learns everything and will be happy, I often need help in explaining. I need a clear system and a generalized narrative. When I see the complete grammar rule or in other words the overall “picture of the problem”, then it is very easy to remember for me. 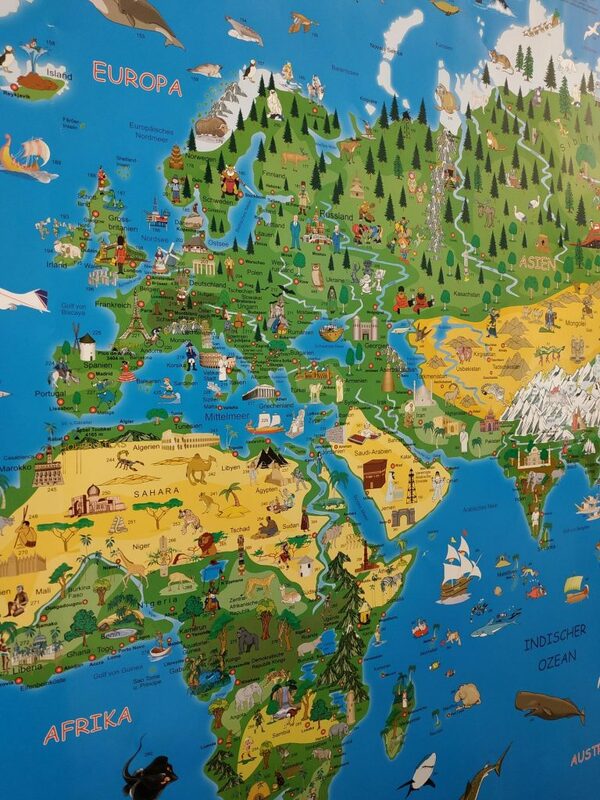 This systematic approach I found the Deutsch Akademie in level B1. Not a single detail is missed in their educational program. The method of teaching on 100% is good for me. Of course, the ways of learning for all people are individual, but I am sure this approach can be successfully used in any learning style. In the next blog, I will talk in detail about the methodology of my teacher in the Deutsch Akademie. 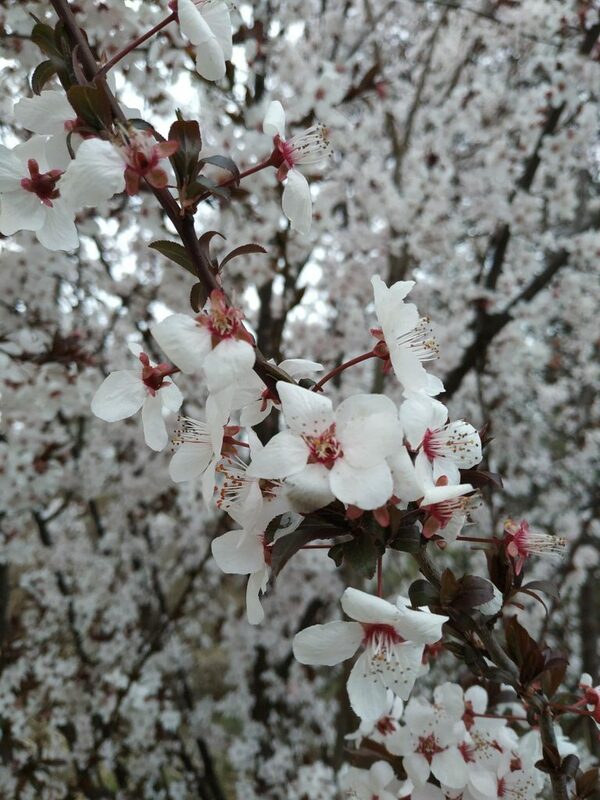 By the way, now cherry blossoms so beautifully in Munich. This entry was posted in Allgemein on Wednesday, 10.April.2019 by Anna Leonova. On a slightly more cloudy day than is necessary for positive stories but with a cup of coffee in a nice cafe, I begin this little blog. A huge number of people learn foreign languages and each of them determines why he or she needs it. By the way, depending on the answer to this question, it is possible to talk about whether this person will master a foreign language or he/she will surrender halfway or even earlier. 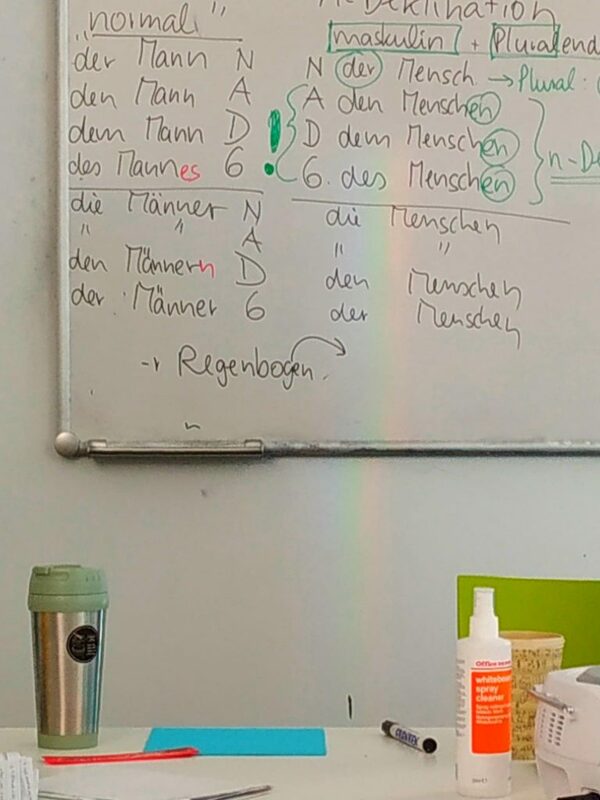 Why did I start learning German? I can answer trite: “I was planning to move to Germany, so I need to know it”. This will be true but in part. I can say that this goal is faceless, it can be applied to everyone who is going to live in another country, it is without a “soul”, which means there is no inner strength to bring the matter to the end. The ability to understand and speak with people in the country where I am is decisive necessary for me. You need to feel life completely, you need to live it without losing anything important and need always look for something new. For me is important learning the language to live a full life. Therefore, I will never give up, and therefore I always enjoy the process of learning a language. I found particular pleasure in learning at Deutsch Akademie. This school also motivated me to share my positive thoughts about learning the German language. In the following days, I will talk a lot about the school itself and about many other things that inspire me and give me strength. In the meantime, let’s stay positive! За кружкой кофе в уютном кафе и наверно, в немного более пасмурный день, чем нужно для позитивных рассказов, я начинаю эту маленькую историю. Огромное число людей изучает иностранные языки и каждый из них сам для себя определяет зачем ему это нужно . Кстати в зависимости от ответа на этот вопрос, можно говорить о том освоит ли этот человек иностранный язык или он с сдастся на пол пути или даже раньше. Зачем я начала учить немецкий язык? Можно ответить банально: ” я планировала переехать в Германию, поэтому его нужно знать” . Это будет верным , но отчасти. Можно сказать , что эта цель безлика, ее можно применить ко всем, кто собирается жить в другой стране, она без “души”, а значит нет внутренней силы довести дело до конца. Для меня возможность понимать и говорить с людьми в той стране , где я нахожусь, является определяющей. Жизнь нужно чувствовать полностью, нужно жить ее, не упуская ничего важного и всегда искать что-то новое. Учить язык , чтобы жить полной жизнью, это для меня действительно важно. Поэтому я никогда не сдамся, и поэтому я всегда получаю удовольствие от процесса изучения языка. 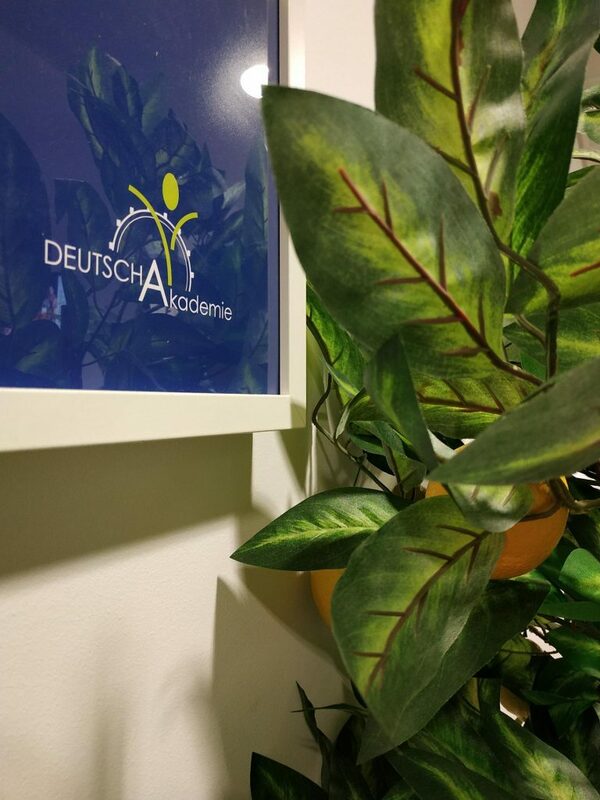 Особенное удовольствие от изучения немецкого я нашла в Deutsch Akademie. Эта школа меня также мотивировала поделиться моими мыслями об изучении этого языка, поскольку они исключительно позитивные. В следующие дни я много расскажу о самой школе и о многом другом, что меня вдохновляет и придает мне сил. А пока ищем больше позитива! 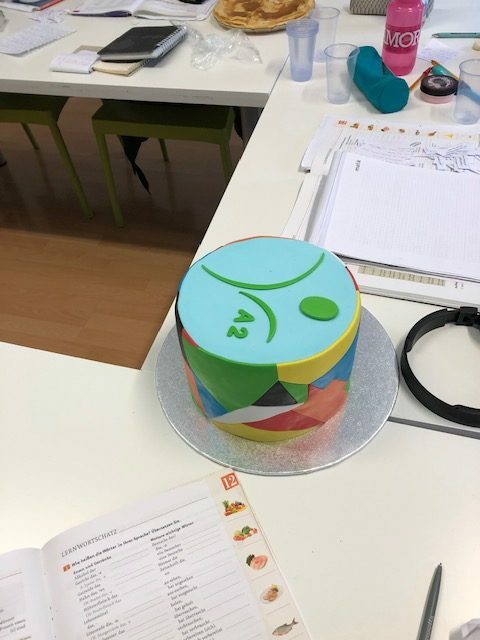 So today was the last course day! It is incredible how time flies and one more German course level is over! Remember that in my class there were people from eight different nationalities and two teachers? I think that both facts contributed to make this course more enjoyable, because the diversity in terms of backgrounds and profiles enables a deeper learning experience. Also, having two teachers enables us to get the best of learning through each of their teaching styles. At our last class day, we finished the last lesson of the book and the teacher dedicated some time to any doubt we could have. Then, we played a game in pairs that involved some of the key words that we’ve learned at the course (like “weil”, “deshalb”, “dass”, etc.). During the class break we enjoyed some delicious pancakes and cake that our friends had themselves cooked specially for our last class celebration! This last day could not be better :) Take a look at the picture and I am sure you will agree! By the way, I would like to take advantage of this post to share the Instagram @jobocakes for you to contact in case you would like to order a cake – I really recommend! 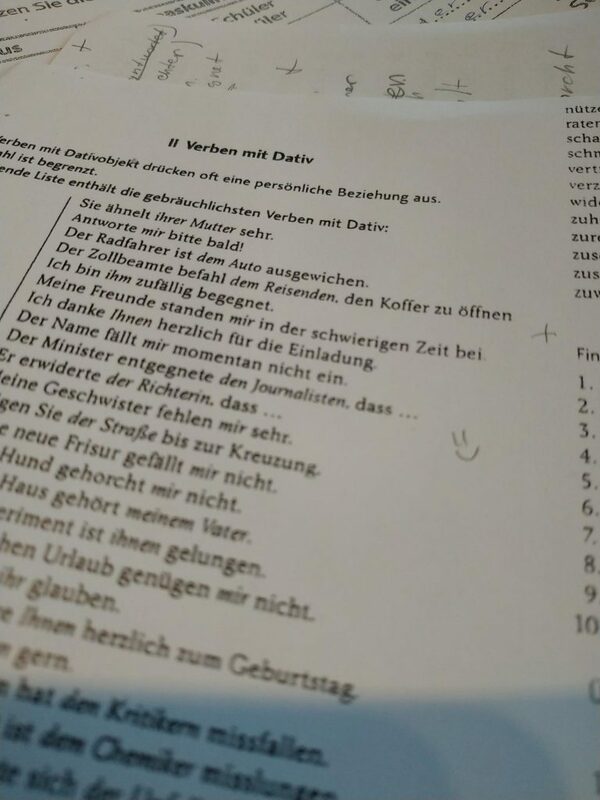 After the break, the teacher made a quiz with questions related to the course and to Germany. It was a very nice activity to test our knowledge! At this time, I feel ready to take the next course at DeutschAkademie and continue with this great learning experience! So, I hope you had enjoyed all my posts here and if you have any question please let us know through the comments! This entry was posted in Allgemein on Monday, 1.April.2019 by Maiara Sabioni Yamin Quadros. When I tell people that I come from Brazil the first thing they think and talk about is “carnaval”. Not wrong, but Brazil is much more than Carnaval, and Carnaval is much more than what the media shows. 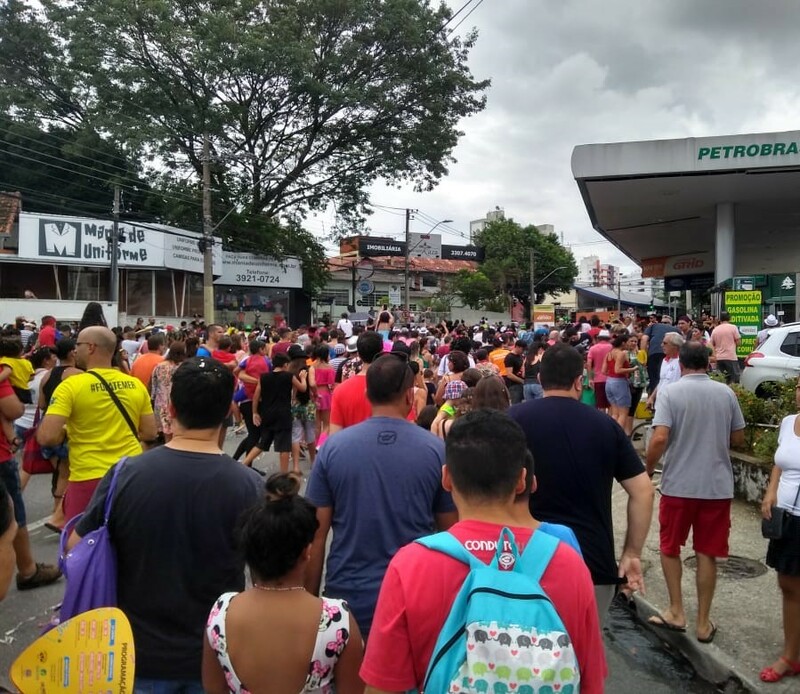 In this sense, I would like to explore more about this here by presenting how is the real carnaval in Sao Paulo (my home city). What the media focus in presenting the carnaval in Brazil is only part of its big festival. If you are not in Brazil, you basically see or read about the huge organized parades led by the samba schools in Sao Paulo or Rio de Janeiro. So, what I would like to share here is that when you are in Brazil you can experience much more. In most of the Brazilian cities there are carnaval celebrations on the streets, with Brazilian music and free for everyone to enjoy. To illustrate: imagine it is Summer, there are many people wearing costume, dancing and following a music band on top of a truck that drives slowly through the city. In Sao Paulo there is approximately 400 parades where about 9 million people celebrate the festival. Although the carnaval holiday lasts 4 days, some parades are launched a few days before so people can start celebrating the festival for a longer period of time. What about carnaval in Munich? Here, the carnaval lasts only 3 days (during the Winter) but it is packed with fun and costume parties. Although here the festival counts with less people than in Sao Paulo, both cities can host great events! 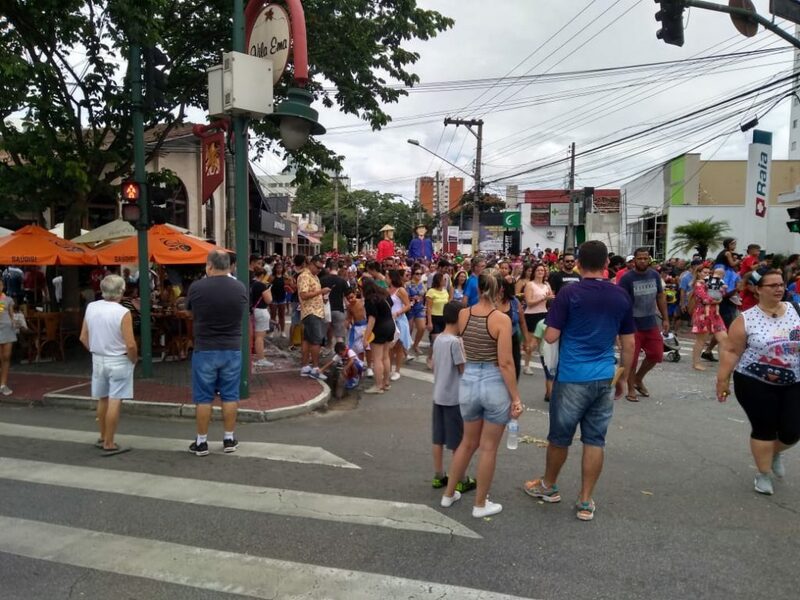 If you ever have an opportunity to go to Brazil during carnaval, be prepared to have fun and watch out to be safe and hydrated because of the hot weather! I hope this post helps you to be more familiar with this traditional and huge Brazilian event. Should you have any question, please let me know! This entry was posted in Allgemein on Wednesday, 27.March.2019 by Maiara Sabioni Yamin Quadros.